With the holiday break coming up, and an extremely early flight to Copenhagen booked in the morning, I figured I can just about call this the last day of the first term of my PhD. Because that’s what I’m doing now. Because I am a masochist. I’m going to keep this brief, because there are at least in theory slightly more important things I should be writing. 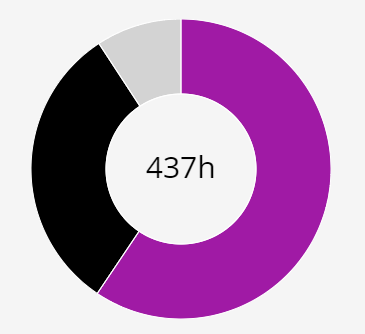 So, here we have it in numbers: Since mid-September, I have done 437 hours of productive work. I’m in the habit of timing everything thanks to doing freelance work, and have applied that to my research; thus, if I stop working for even a minute, or if I get up to do something else, I stop the timer. Of that 437 hours, 259:55:18 have been PhD-related, and the rest have been client and volunteer work. You should not have been expecting a consistent colour scheme. Teaching takes a big chunk due to attending lectures, meeting with students, and moreover, making sure I’ve done all the readings…! This past semester I’ve TA’d for IR Theory and for Negotiation and Mediation, as well as done a few other one-off things. 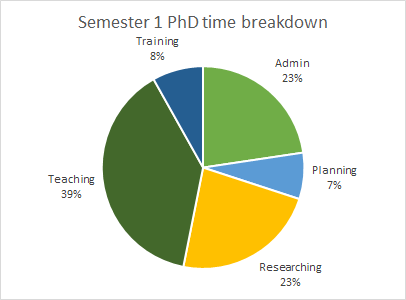 ‘Admin’ is also quite a big category, though that includes a weekly ‘research table’ with faculty and the other PhD students, supervisor meetings, abstract preparation etc. I was also attending 3.5 hours of Spanish classes a week for the first ~6 weeks, not included in the above, before dropping it due to aggravated boredom. I’m instead off to Madrid for two weeks in January to do some intensive classes. Other than that, ‘research’ so far has been entirely passive, with topic development coming under ‘planning’. Given I’m about to start pulling my literature review together, using actual words, this will soon shift from constantly reading, one slow paragraph at a time, to writing, aka staring at the screen and thinking about my choices in this life. More generally, the challenge so far has been personal: I’m a pretty social creature, and sitting down all day inside my head is like a slow death. As such, I’ve been making an effort to counteract it by going out every single night, as far as I possibly can, and thus have had quite a few interesting experiences thus far. 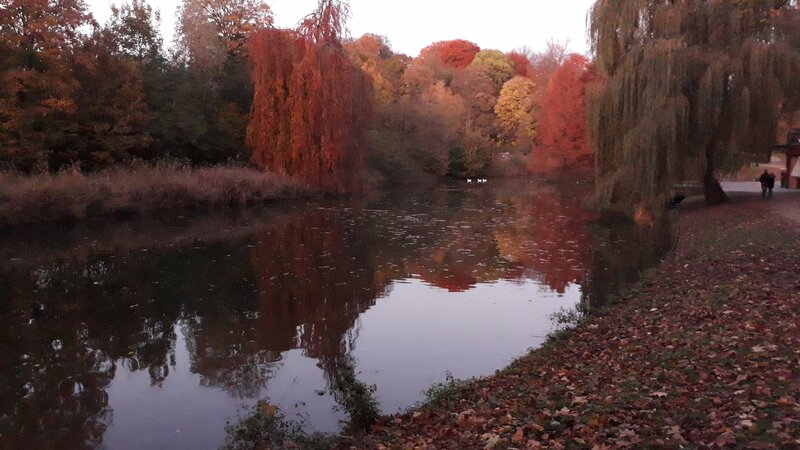 There has been a quick Sunday night trip to Antwerp to go to a punk gig, pulling an all-nighter to go to a house party in Bruges (after being invited by a girl I met one time, over one glass of wine, 18 months ago…! ), listening to jazz records in a pitch-black theatre while sitting atop speakers, mild windmill trespass, and attending impro comedy theatre. Between those and the upcoming trips and concerts I have booked, hopefully my sanity will remain (?) more-or-less (?) intact*. * Every word here is obviously up for dispute.